The community shared front-row seats to some of Florida’s most historic and monumental accomplishments, which included the opening of the new state-of-the-art Dr. Phillips Center for the Performing Arts; the launch of the new commuter train system SunRail, and the renovation of the Orlando Citrus Bowl. The region also welcomed a new Major League Soccer team, Orlando City Soccer, and a new soccer stadium for the team and community is currently underway. To chronicle and share the region’s many milestones, Orange County’s Newsroom and Media Center was launched in April. The Newsroom encompasses a wide range of Orange County news from feature stories about residents and employees who make Orange County a great place to live, work and play to news about Orange County Mayor Teresa Jacobs and events taking place throughout the region. In addition to the Newsroom – the OCFL News mobile application was launched to keep citizens instantly apprised of the latest news from Orange County complete with push notifications. The app was unveiled by Mayor Jacobs during the 2014 State of the County address in June and joins Orange County’s successful OCFL 311 and OCFL Alert mobile applications. In total, these apps have been downloaded by more than 20,000 individuals. Orange County Animal Services (OCAS) had a record breaking year of pet adoptions in 2014 with 693 adoptions in August alone, resulting in the highest number of adoptions in the shelter’s history, topping the August 2013 rate by 63 percent. 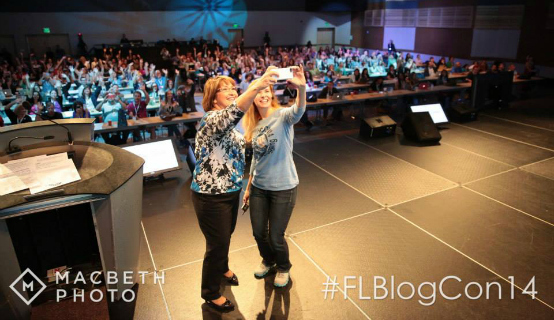 Orange County welcomed hundreds of bloggers to Full Sail University in September for the annual Florida Blogger and Social Media Conference, (FLBlogCon) one of the largest conferences of its kind in the southeast with over 350 attendees from across the state. Mayor Jacob’s #ussie with event founder and Winter Park resident Bess Auer trended and went viral on Twitter. As summer heated up, the County embarked on a public education campaign on the mosquito-borne chikungunya virus. Orange County sent out information about the virus including, how it spreads and how to prevent it. On an interesting side note, the illness recently received international attention when actress Lindsay Lohan contracted the virus during the holidays while vacationing in the French Polynesian islands. Orange County Mayor Teresa Jacobs spoke at the opening session of the Florida Association of Counties (FAC) 2014 Annual Conference at the Hilton Bonnet Creek in Orange County in June. This is the second time FAC has chosen Central Florida for its annual conference in recent years. The Orlando World Center Marriott hosted the conference in 2012.